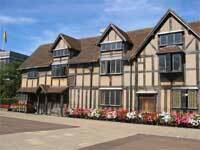 The Stratford Birthplace Trust own six period properties in Stratford upon Avon. Shakespeare's Birthplace is a step back in time to where William Shakespeare was born. The picturesque New Place Gardens mark the site of Shakespeare's town house, while Nash's House was the elegant home of Shakespeare's daughter Susanna, and her Husband Thomas Nash. In the village of Shottery, you can visit the beautiful Anne Hathaway's Cottage, and its gardens, and a little further afield is the well worth visiting Mary Arden's house, where the Shakespeare Countryside Museum offers a glimpse of 500 years of farming and rural life. The Royal Shakespeare Company perform at three theatres in Stratford - the Royal Shakespeare Theatre, and the Swan Theatre, and the Other Place all of which have a busy schedule of plays, not all of which are Shakespearean. 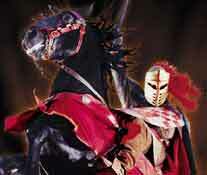 Warwick Castle is a great day out for all of the family. Not only is there the Mediaeval castle to explore, but there are also the Birds of Prey, The Trebuchet, and a whole schedule of different events all year round. The NEC is only a 45min drive from Tudor Cottage, and plays host to numerous exhibitions and international artist concerts and performances.